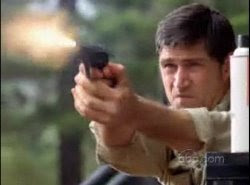 TNR -- TV News and Reviews: Lost -- "The Variable"
Nice clear summary of a very complicated episode! I'm wondering if Eloise really knew that her younger self would kill Daniel. Certainly, she knew that she was sending him back to a disaster of some sort, but I can't think of any reason why she would send him to the Island -- why she would prepare him his whole life to go to the Island -- just to be shot by her younger self. What did that accomplish? Well, maybe we'll find out next week. Maybe it set off a particular chain of events. This episode felt like a season finale to me. The fact that it's not, and that there are still more suprises up ahead this season, is mind-boggling. Oh my! you do put the most...arresting...pics at the top of your blog entries! I swear, that photo alone makes me rather sorry I've never started watching LOST. I have no idea what Eloise was thinking, unless, like you say, Daniel's death accomplishes something else important. The way she looks in the flashbacks, when she first tells him about "destiny", seems very sad, so I feel like she did know. It will be interesting to see what his death is a catalyst for. I agree that this sure seemed like a season-ending shocker, but I guess they didn't give us enough of a headache and need to pile on more...lol. 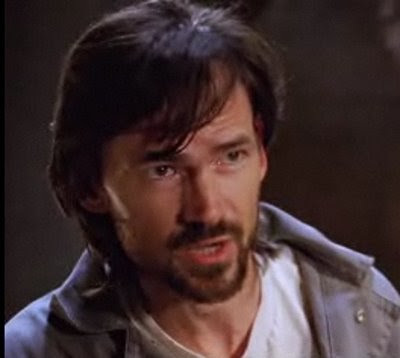 @Phyl--Soo, you have a bit of a liking for Jeremy Davies then? I had no idea until I looked him up that he'd done a bunch of art films that got him a lot of critical notice. I will have to check some of these other things out.